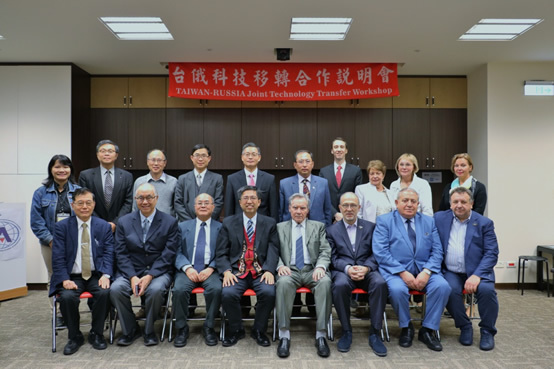 Following the fifth Taiwan-Russia Joint Workshop on Technology held just this July, the president of the Moscow-based International Academy of Engineering and the Russian Academy of Engineering, Boris Vladimirovich Gusev, led a cadre of scholars on a visit to Taiwan with the purpose of holding an information session on collaboration in technology transfer between Taiwan and Russia on November 22 in Taipei. 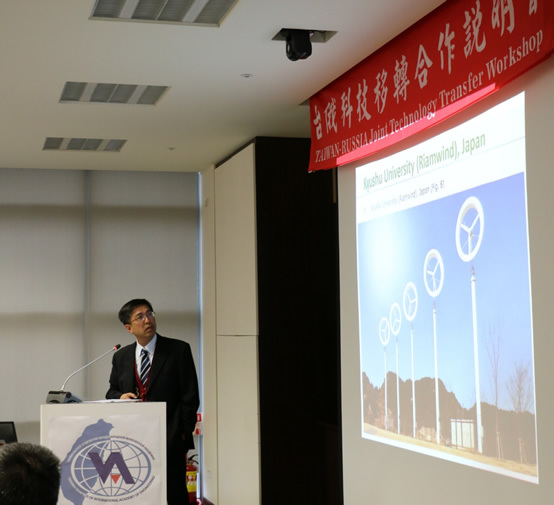 The session was attended by Taiwan industries and research institutions and is hoped to spur more technological interaction between the two countries. 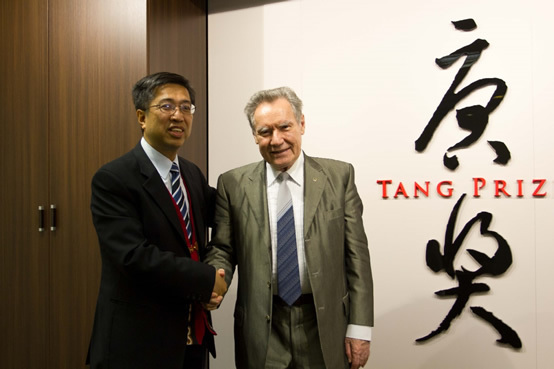 Seeing the opportunity to espouse the values of the Tang Prize, prize CEO Jenn-Chuan Chern, who is also president of the Taiwan Chapter of the International Academy of Engineering, invited the group to the Tang Prize Foundation offices to show what the prize has done and continues to do internationally. Chern had led a Taiwanese retinue to Russia earlier on July 30 this year to facilitate exchange between the chapters of the academy. 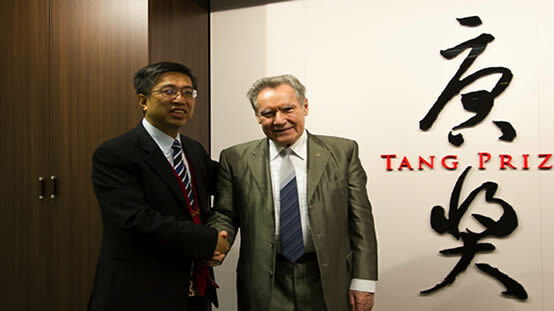 He says that the Taiwan branch was established back in 2009 by Samuel Yin, chairman of the Ruentex Group, with the purpose of furthering technological exchanges over the borders of Taiwan and Russia. 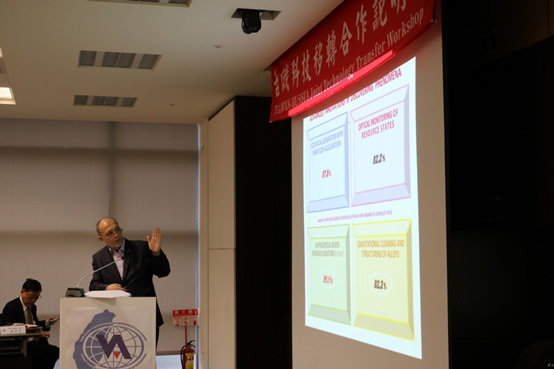 Part of the recent exchange included an information session on collaboration in technology transfer on November 22 that is hoped to facilitate tangible results through collaboration, including new research and applications in such fields as wind energy, machinery, nanotech, solar power, high efficiency livestock feed, and recycling of organic waste. The International Academy of Engineering (IAE) was formed to bring talented professionals from separate institutions together after the breakup of the USSR in 1991 and to support the development of engineering prowess in Russia. The Russian Academy of Engineering (RAE) is one of the most active national engineering academies in the world. It is thus no surprise that Gusev, the president of these two world-leading institutions, is himself an expert in the durability and structural strength of composite concrete materials and is widely known in academic circles for his work on structure and corrosion, insulating materials, and clean rooms. Responding to his recent visit, Gusev said that there are many opportunities for collaboration between Taiwan and Russia, though there is much room for development and many challenges that will require the persistence of both sides to break through. His opinion of the Tang Prize is equally optimistic. Gusev, who is an international advisory member for the prize, notes that the prize is inclusive of many disparate disciplines, even such different fields as engineering and the humanities are under the umbrella of the Tang Prize. It stresses universal contributions that have had a substantial and positive impact on humanity. Although the prize has only been in action for two cycles, or four years total, Gusev maintains that the prize is gaining in reputation. With the four fields of the prize all aimed at the most pressing current problems of humanity, Gusev believes that the Tang Prize has come “just in time” for the world.